New construction in one of the hottest zip codes for under 500K. 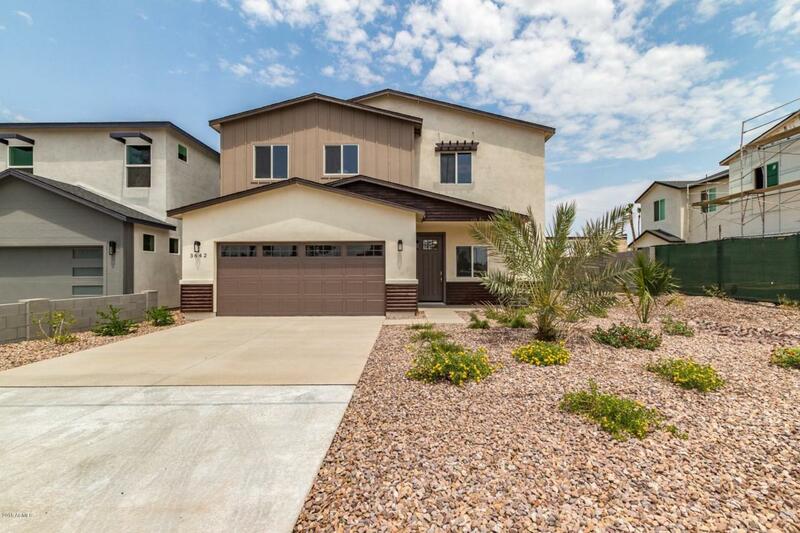 This home boasts nearly 2600 sf, 4 bedroom, 2.5 bath and huge loft upstairs. Light, bright and open with soaring 20 ft floor to ceiling open space in the great room. Down stairs master bedroom with separate shower and free standing tub with high end custom tile work. All hard surface flooring first level. Modern island kitchen boasts hardwood soft close shaker style cabinetry, quartz counters, tile backsplash. Upgraded 5 panel doors hardware & fixtures t/o along with full landscape package both front and rear yards. Close to all the hot spots like LGO, The Vig, Postino's and Chelsea's Kitchen and more! Energy Star Certified, energy efficient with modern No corners were cut during construction. This home is sure to impress!